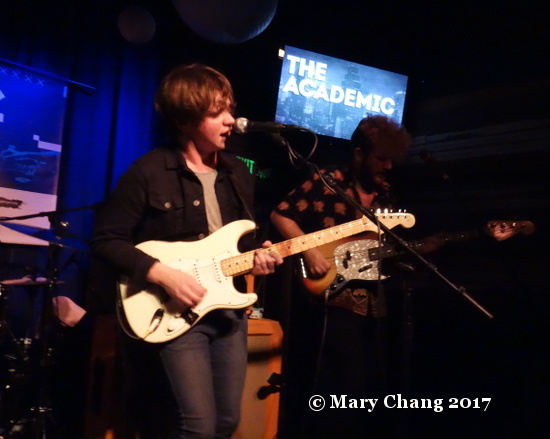 Irish singer/songwriter A.S. Fanning was unique among his Irish peers at SXSW 2017 in that he’s currently based in Berlin rather than at home on the Emerald Isle. Not having any previous knowledge of Fanning’s music, I was curious about what might have prompted him to make that choice. After hearing his set on Thursday’s Full Irish Breakfast at B.D. Riley’s Pub, I was able to catch him for a quick interview to find out more. As Fanning explained to me, he relocated to Berlin several years ago, with his previous band The Last Tycoons. (Tangentially, a quick Facebook search reveals that Fanning was known as “Switchblade Steve” during his time in The Last Tycoons, a fact that I sorely regret not knowing at the time of the interview!) Finding Berlin less costly than Dublin, he simply decided to stay on after the band split up. Musically speaking, Fanning’s life experience going back to childhood has led him to a rather enchanting blend of “dark folk”, Americana, and rock ‘n’ roll influences, which he talked about briefly in our interview just below. If you missed it earlier this month, you can hear Fanning’s current single ‘Carmelita’ in our preview of Irish artists at SXSW 2017, and check out his striking baritone vocals in the live video for ‘Dark Star’ at the bottom of this page. A.S. Fanning has just finished recording his album ‘Second Life’, funded by a Kickstarter campaign that wrapped up in January. Its release is expected later this year, via Proper Octopus Records. 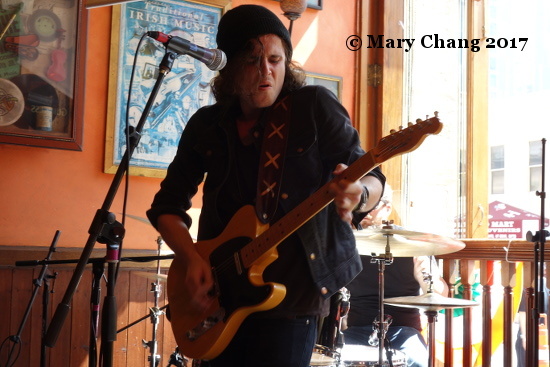 Stay tuned to TGTF for more coverage of A.S. Fanning at SXSW 2017 in our upcoming review of the Thursday afternoon Full Irish Breakfast, as well as further news on the album release if that becomes available. Special thanks to Candice for helping me coordinate this interview. This year’s riverboat showcase featured brief live sets from three Northern Irish artists, singer/songwriter Ciaran Lavery, folk rocker Jealous of the Birds (aka Naomi Hamilton) and electronic musician and composer Ryan Vail. After the sunny riverboat cruise was complete, I took the opportunity to sit on the shady back patio of the Hyatt Regency Austin with all three artists to have a chat about the diversity of music coming out of Northern Ireland, the varying trajectories of their individual careers, and their experiences in Austin at SXSW. I’d never done an interview quite like this one, with several musicians all at once. But as you can hear below, the discussion moved along freely and easily, not at all unlike the placid flow of the Colorado River in the background behind us. Many thanks to Ciaran, Naomi, and Ryan for agreeing to this impromptu roundtable discussion. Stay tuned to TGTF for further coverage of each of these artists at SXSW 2017.